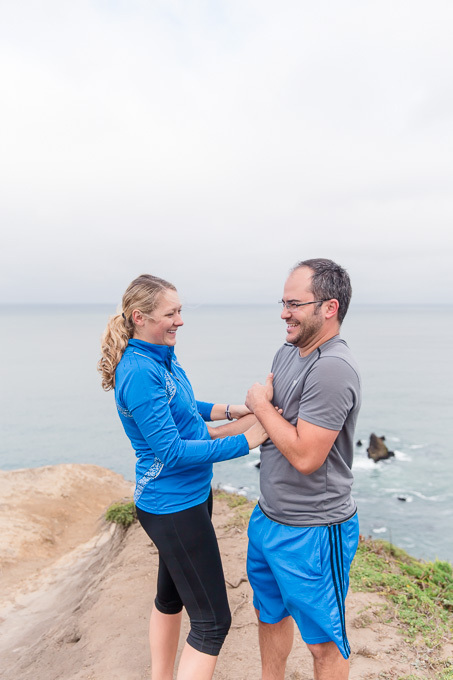 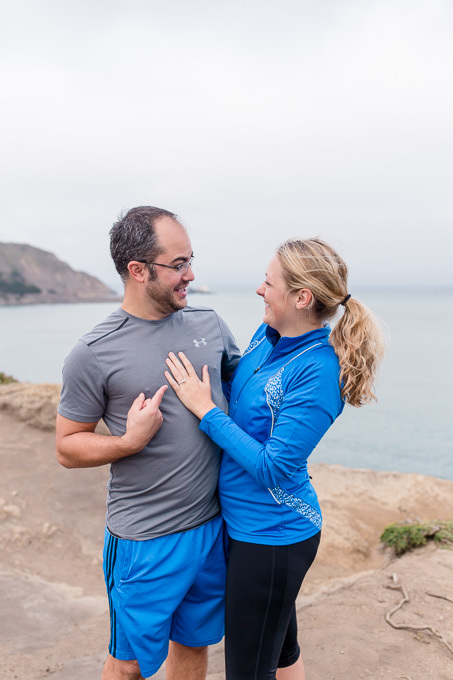 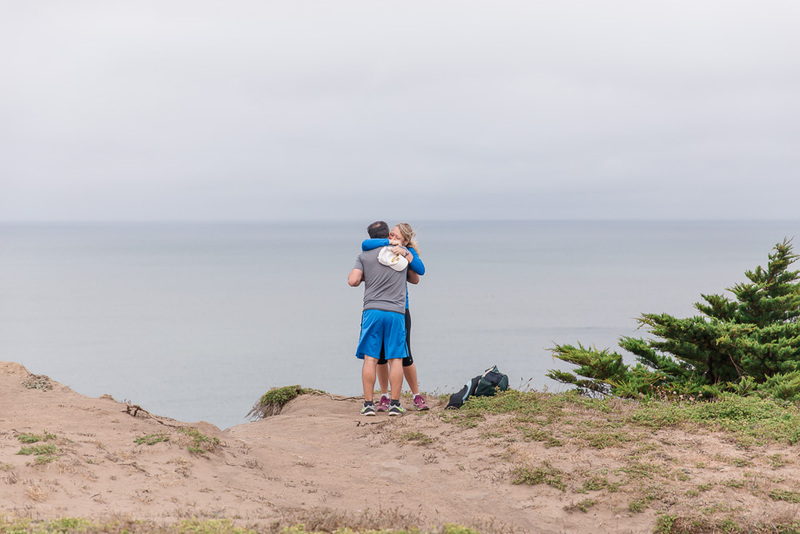 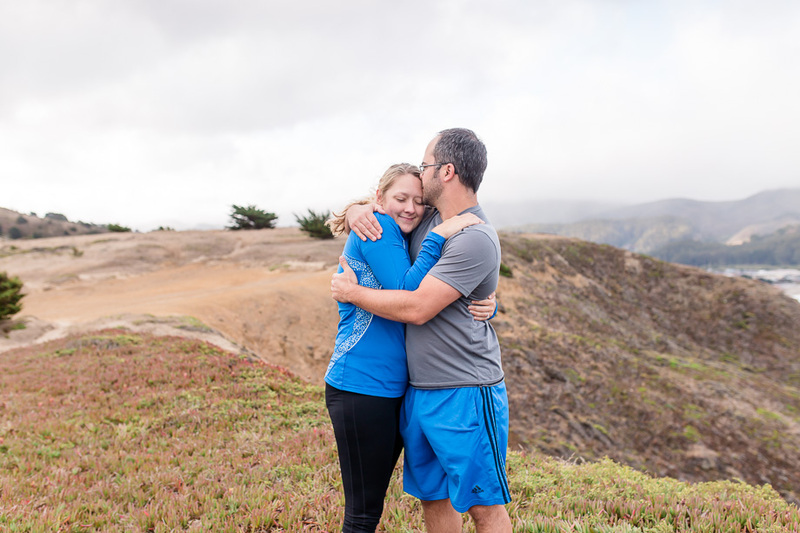 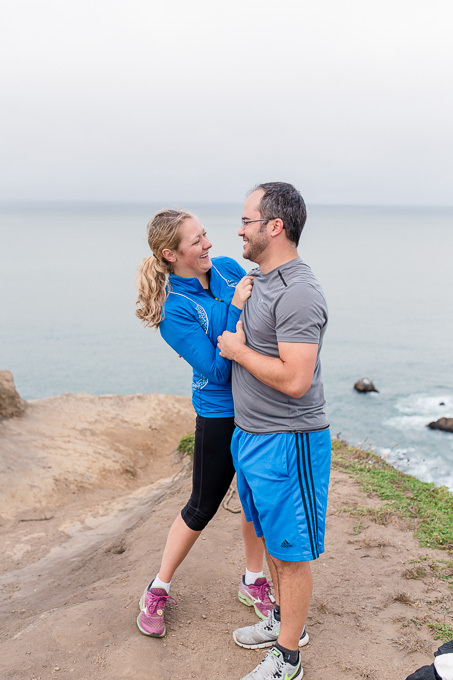 Being avid hikers, Jeremy and Nicole took advantage of their trip to the Bay Area to find some new spots to explore. 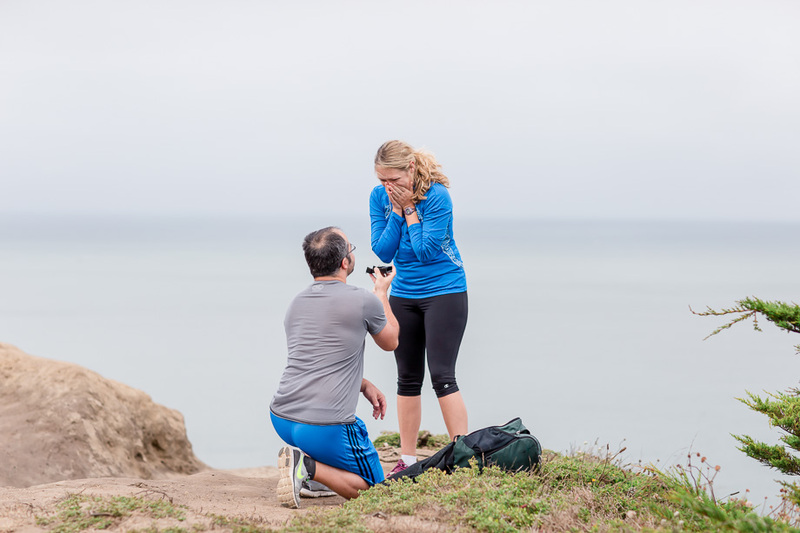 The Linda Mar Beach/Pacifica State Beach is one of my favorite spots around here, so I’m really glad Jeremy liked my suggestion! 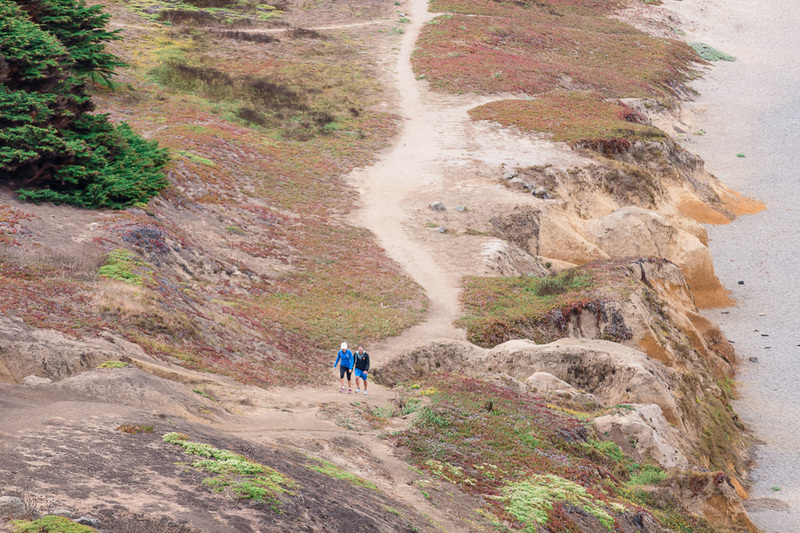 It’s a pretty easy trail which goes up along a cliff facing the Pacific Ocean and offers beautiful views of the beach and ocean down below. 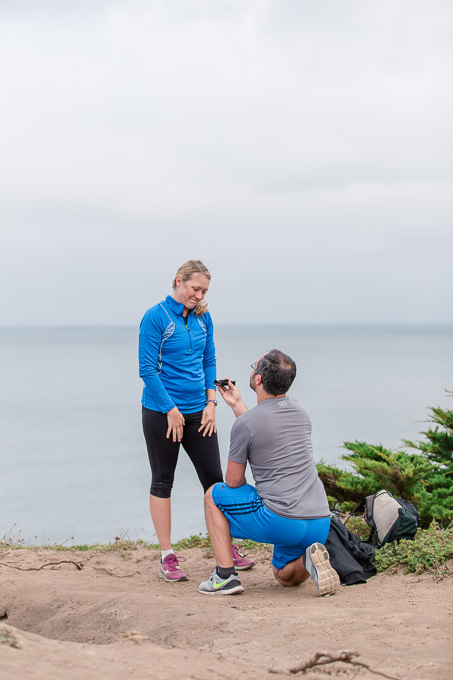 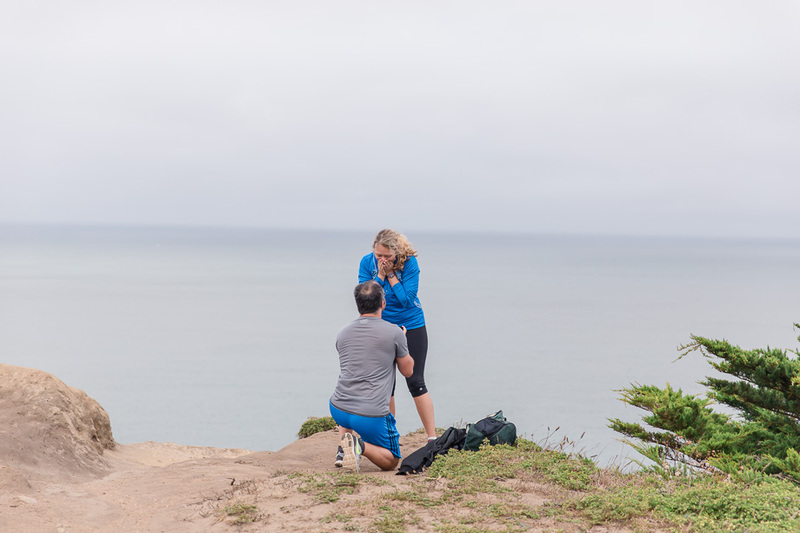 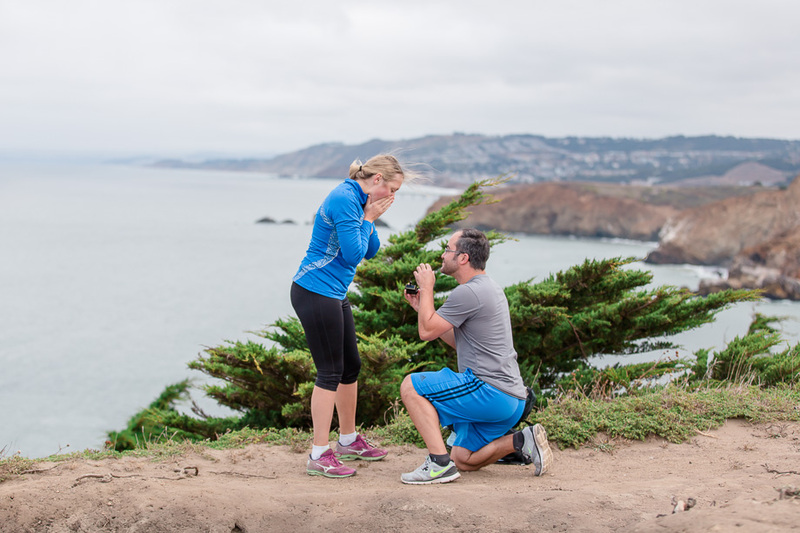 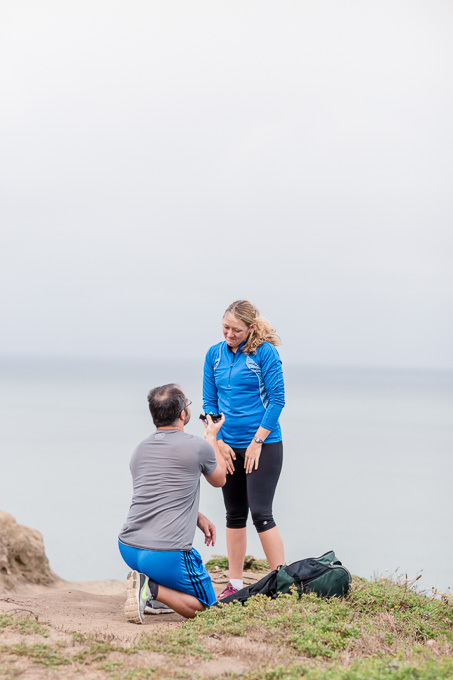 Jeremy led his future wife to an overlook at the edge of the cliff before dropping down on one knee, giving them a beautiful backdrop for the proposal.